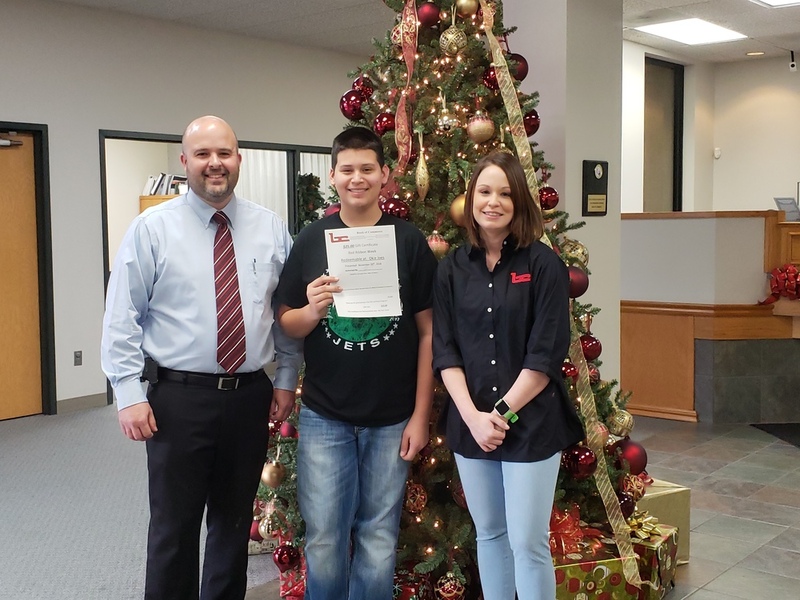 Congratulations to Ethan Morrison for winning the Stilwell Democrat Journal Drug Free Poster Contest! Employees from the Bank of Commerce presented him with a $25 gift certificate to Okie Joe's. Great job Ethan! !